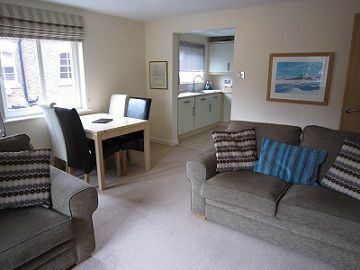 4 Crambeck Court is a very comfortable, well-equipped modern 4* apartment in a small development conveniently located inside York's medieval city walls. Good location and excellent reception planning and booking service. Has all you need to be able to relax, feel comfortable and safe with on site parking and secure doors. Not suitable if you have limited mobility. Everything was really nice and the location is super! We would choose to stay here again. York is wonderful. 4 Crambeck Court is a good spot for many reasons. Ellen, who met us with the key, was very pleasant to talk to and, on a couple of occasions, responded quickly to emailed questions. 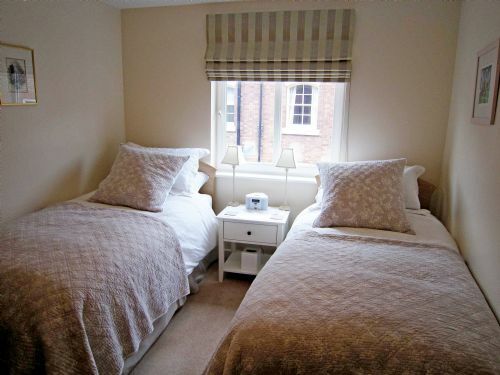 The flat is in an ideal location for walking around the city of York. We opted to leave the car in the parking area and walk everywhere, visiting both new and old favorite locations. We were pleased with the arrangement of the flat and with the kitchen facilities and utensils. We are hoping to return. We had an enjoyable stay at this apartment. It is a typical clean and modern apartment with everything we needed for a short stay. Quiet location but a short walk from the centre. Nice coffee bar at the end of the street ! We have stayed at 4 Crambeck Court several times because we find we can walk almost anywhere in York from there, but can park the car.The flat is very well equipped and clean and booking is easy , by phone, and the staff is friendly, as is the caretaker. No problems. Second time staying in this apartment. Excellent location from which to explore York and the surrounding areas. Perfect for a family of 4 with all the amenities you need to make this your short stay home from home! One minor awareness point for other travelers - feather bedding and pillows. Luxurious and comfortable, unless like my wife you suffer with allergies. However, the owner/support team are very responsive, so worth asking about this as needed if considering this rental. 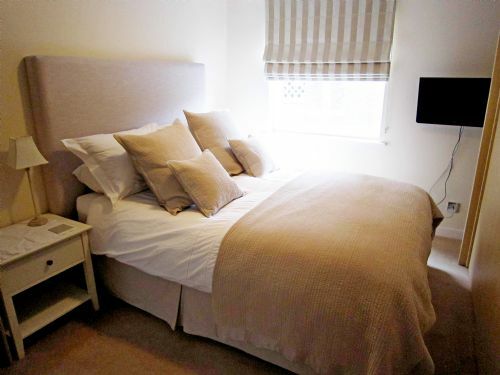 We would highly recommend 4 Crambeck Court to anyone considering a stay in York! First we were told to contact the housekeeper i hour before we arrived, then we were told it was not needed. We arrived on a freezing cold day and as the flat is heated with night storage heaters it was as cold inside as outside. The entrance way to the flat stinks of cigarette smoke ! Neither flowers or room spray get rid of it. To get warm I had to put the oven on this is when I noticed the filthy oven door on the inside covered in grease. The kitchen utensil draw was messy and dirty, finally found a corkscrew which was all sticky and covered in someones black hair. Under the kitchen sink is also a dirty mess. The bedroom has cobwebs above the dresser and it took the maintenance man to locate the switch to turn on the heating in that room, No bulbs in the bedside tables and the wardrobe door keeps getting stuck on the right side. Bathroom is filthy too, the loo brush is grimy as is the bin and the towel tail they just haven't been cleaned in ages. The shower has black mold in the grooves and along the bottom of the door. On our third day a fuse blew in the evening, so no heating, no TV, no shower, no fridge and couldn't even make a cup of tea. I called the housekeeper who told me were and how to get in the cupboard with the fuse box, so we got that sorted but still no heating. Maintenance man comes from Pontefract to repair things and were given two portable heaters thank goodness. He also has to come to empty the bin outside because it over flowing from not been emptied before we came. The instructions for the internet were incorrect I finally located a raggy bit of paper stuck on the hub under the very dusty telephone table. The living room carpet keeps bobbling up making it look very scruffy and also making us cough. We were given some discount but by Wednesday my wife was was feeling dreadful and quite frankly had had enough of dealing with the agents and the apartment. Bad management. Unchecked cleaners. Does not deserve a 4 star rating. In the last week in January we had contractors in the flat laying new carpets and putting in a new lavatory in the ensuite bathroom. There was possibly a mix up between the dates the contractors left and the cleaning schedule prior to arrival of the new guests. Whilst as the owner I accept responsibility for the condition of the flat, we tried to rectify the situation, NEVERTHELESS the guest is required to carry out very simple activities as outlined in the Instruction Manual. A)	We Offered to send the cleaners in immediately, at an agreed time, to resolve the cleaning situation to the guests satisfaction, this was refused by the guest B)	Immediately refunded £100, which the guest has not acknowledged in her critique C)	Panel heaters were up and functional in the flats bedrooms all the time. This required the instruction booklet to be read and also an understanding of turning the switch on at the wall, which the guest was not able to do by her own admission. Additional heaters were also supplied. D)	I understand the repair man, etc came from Pontefract ? just another part of the Great county of Yorkshire, Whats wrong with that ?? E)	Again the visitors book shows that the guest was very satisfied with the agents response, Though the trip advisor critique does not bear this out. 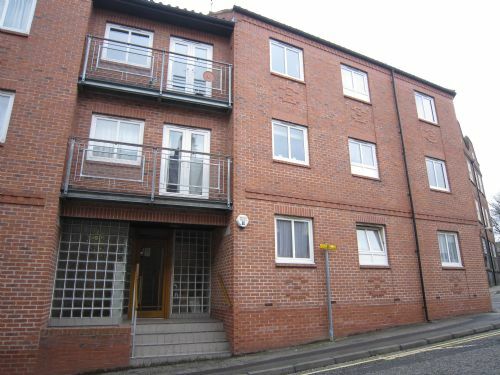 Great flat in really good condition and very well apppointed. 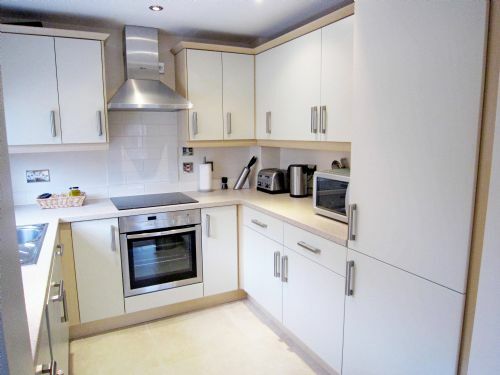 Ideal for two couples with good space and layout to compliment a good standard of cleanliness and facilities. Quiet and accessible with on site parking. 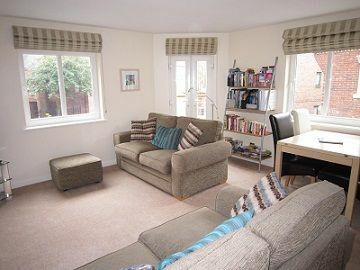 A lovely apartment in a great location in York. The apartment is very well equipped and furnished to a high standard. The car park is an additional benefit, we never used the car! This property was in an excellent location, so close to everything that York has to offer and yet far enough away to be peaceful. The accommodation was well kept, clean, comfortable and well equipped for a self catering break, although to be honest with so many fantastic places to eat only a short walk away we did very little self catering. This flat is the height of luxury with everything you could possibly need. It is spotless and serviced by a very helpful, yet unobtrusive caretaker. In the centre of York, you can walk to any one of the many attractions in less than 15 minutes. Despite being so central, the flat is peaceful and quiet. This is our second visit and we'd happily come again as the flat is such good value. Ideal apartment for two couples, well appointed very comfortable. Clean rooms with plenty of space, quiet at night and well stocked kitchen appliances which met all our needs. Stayed at Crambeck Court for a week away with the family, the location of the apartments could not be better within a stones throw of the City centre and all its amenities. The apartment itself is excellent and very much a home from home, there can be some noise at night from people coming back from Bar and restaurants but its very minimal not something which will ever disturb you. We really enjoyed our stay in Crambeck Court. It is excellently sited for York City and the railway station and it also is relatively easy to travel out to Yorkshire itself. The apartment is very well equipped and has good WiFi connectivity. Only marginal negatives I can think of are - the parking is secure but very tightly spaced, the TVs are a bit small and due to the apartment's central location there is some outside noise at night on Friday and Saturday but not significantly so. Perfect location, lovely apt with every thing we needed. Loved the modern look. Just one note, the taxi driver did not know where this place was, tell them it's at he top of Fetter Lane. York has so much to offer we really needed more time. Comfortable, well maintained flat within 5 minutes walking distance to York town centre, restaurants, shops etc. We had no complaints and enjoyed our stay. As a regular visitor from overseas who has rented similar property before, I would highly recommend 4 Crambeck Court as a place to stay self catering in York. It is the best property I have so far rented - I tend to stay for several weeks each visit and so the washer/dryer and dishwasher were a great plus. Amenity and location wise this property is great! Very bright and airy also which for an inner city apartment is not always so. But for very minor comments, I was close to rating excellent in every category. Cleanliness - some of the glasses, dishes could have used a once through the dishwasher. I put this down to back of cupboard, rarely used items. I had lots of visitors and so we used most of the kitchen ware. Otherwise, aprartment and furnishings were very clean. Customer Service - a nice touch were cookies, beverage items and greeting note on arrival. Plus all the local attraction info that was made available. My minor comment refers to payment and reimbursement of deposits which could have been made easier with the agent. As a foreign visitor using web based transfer payment systems some greater flexibility as relates to payment issues would be helpful. But, again, all in all the agents were responsive and helpful. Value for money - given the length of stay, a larger discount would have made the difference between good and excellent. Again minor. Very happy with the quality of accomodation and would rent again in the future. Bottom line - would recommend to other travellers! A most comfortable and well-equipped apartment, conveniently located close to the city centre. We had a lovely stay here during February, with our two young children. It was perfectly located for a short walk to all the attractions in York, 15 minutes to town centre, even at toddler pace. Mini supermarkets and a range of restaurants are close by and also a large park along the river, which was good for the kids. We travelled by train and it's a 10 minute walk at most from the station. The lounge area was bigger than the pictures show and the two large sofas were a big plus. Wifi was consistently good. The beds were very comfy and had posh cotton sheets and thick duvets. It was a little tight at the end of the bed in the main bedroom due to the large fitted cupboard, but you'll have plenty of room for all your things in there. The beds are all very high, so wasn't sure about the single beds for little ones, but they were fine. The main bathroom was luxurious with a fantastic shower, plenty of hot water. En suite was not so modern, but good electric shower. The kitchen was well equipped with a great selection of knives, pans and other accessories, also had the extras like tea towels, cloths, dishwasher tablets etc provided, the only quibble was that the dishwasher struggled to get things clean except on the hottest cycle and I assume those before us found the same as we found some of the cutlery etc needed a wash before use. Washer dryer was a plus with small ones. The flat is in a quiet block; we did have one complaint from the neighbors about noise early in the morning. We were a bit paranoid as a result and spent the rest of the holiday shushing our kids! Hosts were friendly and helpful. We are a family of four two children aged 11 and 4. Perfect stay for families or couples. Very close to town just a short walk. Beds were really comfortable and the apartment was warm and cosy. Price a little expensive but we stayed over Christmas period when all holiday prices rise, however still good value for money. Lot's to see and do in York, great for shopping, bars and restaurants. Everything you could need in the apartment as it was well equipped. We would certainly stay again. Thank you to Debbie and Richard the housekeepers for working ob Boxing Day and giving us a warm welcome and smooth changeover. We had an outstanding stop at Crambeck Court with a wonderful booking service and meet & greet on the day of arrival. The apartment is stunning, spacious and exceptionally cleaned. The secure parking is a real bonus as you can park up and not need your car for the duration of your stay. Very close to Rowntree park and the city centre. Would recommend this apartment to everyone.